'Style Card' is a generic term used to describe DISC systems which analyse individual styles by measuring the underlying 'axes', rather than measuring the four DISC factors directly. This approach builds up its results more quickly and easily than a full DISC profile, because it has only two factors to measure as opposed to four. Style Card question sets are often used by salesmen and other professional negotiators to maximise their impact and improve their negotiation skills, but, beyond this, the powerful Style Card technique offers insight into many aspects of interpersonal relations. 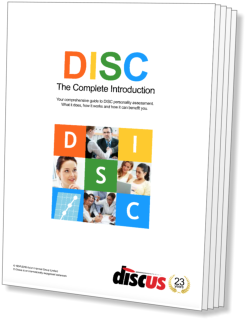 This section describes the basic ideas behind the Style Card and explains how it relates to the 'Biaxial Model' underlying the DISC theory. Different combinations of factors are given different names within the Style Card system for ease of use. This section explains the naming conventions used with the Style Card, and provides a general overview of the different styles described. Each of the Style Card segments describes different motivating factors for different styles. This section explains the factors (whether positive or negative) that will affect a person's motivation. Under pressure, different styles will react differently from one another. In this 'Pressure' section, we explore these pressure reactions, and also take a look at the concept of the 'Pressure Path'. Practical implementations of the Style Card concept often focus on its use in developing negotiation strategies. This section discusses the four main strategies associated with the technique; Power, People, Promise and Proof. The basic Style Card technique provides a useful model for examining human interaction. This section explores, in broad terms, the ways that different styles relate to one another.